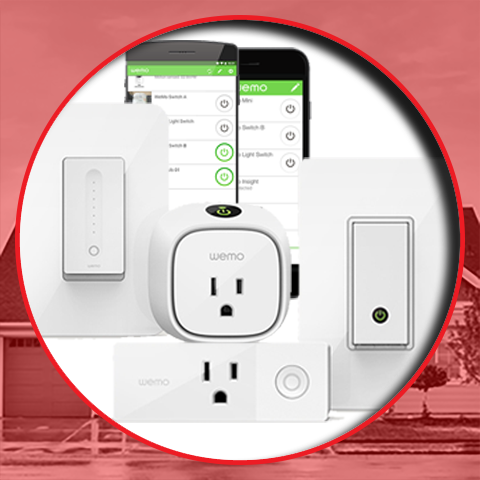 Control4 supplies the wireless outlet switch that makes any household plug-in device, like lamps, appliances and electronics part of the Control4 system by turning a standard outlet into a smart outlet. Unfortunately this device is not available to the majority of the world as it only supports 120VAC voltage for US plug type devices. Introducing the Belkin WeMo Switch. It has US/UK/AU-NZ plug types and is extremely affordable. This WiFi based power outlet supports up to 10amps and can be easily integrated into the Control4 home automation system using the Chowmain Belkin WeMo driver. The Insight switch can be utilised for energy monitoring and management using our driver and Control4. It can also be useful for device health monitoring and also for automatic selection of manually controlled AV devices like Playstation 4’s, Xbox One’s and Wii U’s. Insight energy usage feedback to properties page and variables. This driver can also detect power usage statistics from the WeMo insight switch. This can be useful for programming energy management based actions. On WeMo Insight Switches you can turn on your Xbox One, Playstation 4 or Wii U using their controller and have Control4 automatically turn on the system to the right inputs. Turn off the console using the console's controller or power button and have Control4 automatically turn the room off. This driver will work with the Belkin WeMo Switch (Model Number F7C027), the Belkin WeMo Insight Switch (Model Number F7C029) and the Belkin WeMo Mini Smart Plug (Model Number F7C063). It may work with other WeMo hardware however it has not been tested. Added AV device selection for UIButton proxy devices. This is useful for selecting no control drivers. eg Chowmain's No Control Video Game Pack work well with this. Added AV device selection options for Insight switches. Useful for devices such as Playstation 4's, Xbox One's, Wii U's where control is not possible currently. Detection of power (or lack of) will turn on or off the device/room. See installation guide for details on how to use this feature. Fixed issue with 2.8 systems and IOS navigator effecting light state on ios app launch. Added support for trigger relay functionality. Changed mW value to W values. Added support for WeMo insight switches. Energy usage available via variables and properties page. Implemented UPnP subscriptions. 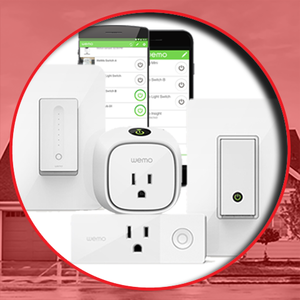 Now has instantaneous feedback if using Belkin WeMo app for ios or android. If the WeMo IP changes the driver will now search for the unit and send the command at the same time.